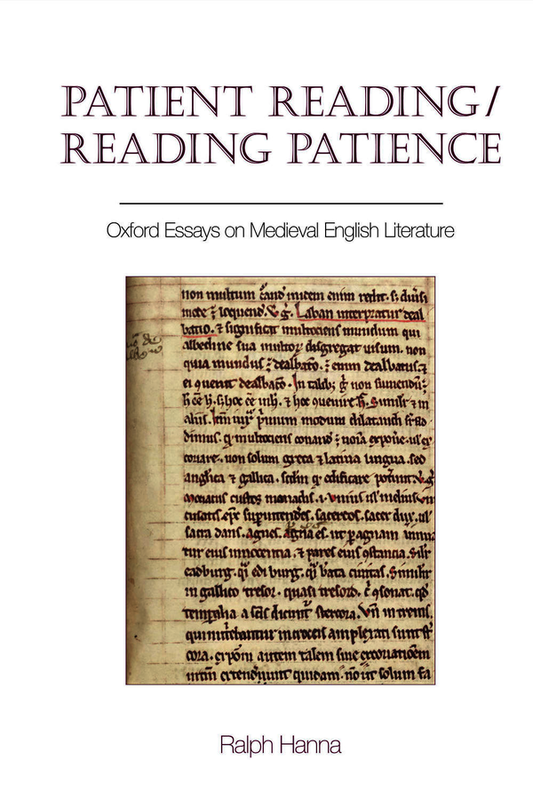 This volume brings together a variety of studies, some reprinted, some new; all are devoted to the literate culture of the English later Middle Ages. The studies hover about four foci: normative English polylingualism (across three grammatically distinct languages); the messiness and discontinuities of medieval manuscript production; drawing conclusions about historical audiences/literary communities on the basis of book-evidence; and finally, the Middle English poem Piers Plowman. In general, although all the essays here arrive at broad conclusions, their point is other. The essays exemplify methods of study, the identification of problems and the recognition of tools appropriate or helpful in addressing them. Perhaps particularly the volume gestures toward a range of skills appropriate for the task; these range from narrow observation of book-production techniques to bringing a local historical record to bear on an individual volume or group of them. Ralph Hanna is Professor of Palaeography (Emeritus) and Emeritus Fellow at Keble College, Oxford. He is a former Guggenheim Fellow, former Fellow of the Radcliffe Institute (Harvard University) and winner of the British Academy Sir Israel Gollancz Prize for English Language 2015. His books include Editing Medieval Texts (Liverpool University Press, 2015) and Introducing English Medieval Book History: Manuscripts, their Producers and their Readers (Liverpool University Press, 2013).